You only have to read the news to gather an understanding of how security is at the forefront of everyone’s mind in regard to the digital world. A number of websites have come under attack, and those with little defence have fallen victim, often losing visitors and business as a result. Evidently, search engines such as Google want to ensure the online world remains a safe environment for both webmasters, and its online visitors. As such, Google is aiming to end full support for Adobe’s Flash software by the end of 2016, purely due to its popularity among cyber thieves who instil malicious code within Flash. As a result, Flash will be turned off by default on a majority of websites, with only globally popular sites such as Twitch and Facebook having the setting switched on by default. For some companies, the news may not be a threat. However, for many others the results could be very detrimental if necessary updates aren’t made. While the option will remain for the user to turn flash on, it could mean that your bounce rate increases as a result. In the modern world, those who view websites expect information in a timely manner, and if there’s a great deal of work involved to even view your website, it can mean that the visitor simply moves on to your competitors. There is also the age of your website to consider. 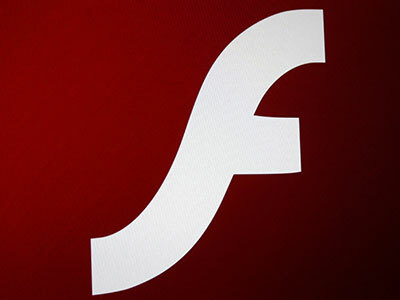 Some websites may only have flash elements, such as embedded videos, whereas others could have been constructed using Flash; never having been updated. As such, a business could find that its online presence is deemed irrelevant if its website is not able to display its content in a user-friendly way. Why Is Flash Still Used If It’s Flawed? In the early days of the Internet, Flash was welcomed with open arms, as it allowed a viewer to partake in a number of activities, such as watching videos and playing online games. However, as the online world developed, cyber criminals found that Flash had a number of security flaws, and as such, could be used to manipulate the online audience. Google isn’t the only recognised company to end support for Flash. Many people foresaw the decline of Flash when it wasn’t supported on the iPhone, something that soon became a standard on iOS and Android devices alike. While there were certain third-party apps that allow for the viewing of Flash, at least on an Android device, they very rarely offered a pleasurable viewing experience. As more and more security flaws rise to the surface, the online world is keen to stop any threats in its tracks, and the most sensible move in this regard is to eliminate the source of the problem. While some may see the updating of a website as a hindrance, it can actually allow you to give your website that much-needed overhaul. As well as eliminating the Flash aspect, you can also ensure that the website is operating as it should. This means that your website can be viewed across all platforms, in a fast and responsive manner. It also means that all your SEO efforts will be updated, which can mean higher rankings for your website.